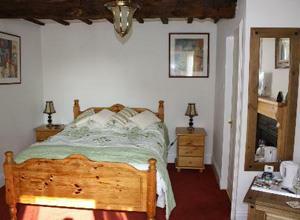 Sunshine Cottage07900891437work Bed & BreakfastSuperior double ensuite and kingsize luxury suite with sitting area accommodation within our 18th c. character property. All modern facilities catered for including in room wi fi access.Breakfast is taken in the farmhouse style dining kitchen overlooking the gardens. We are situated in the conservation area of the village and opposite the Old White Swan where evening meals can be enjoyed. Very comfortable double ensuite room situated on first floor.